Oklahoma Modern: What Happened in Vegas? About the only thing that happens in Vegas faster than new construction is the erasing of history. In a city where a five year-old building is considered tired, it's no surprise that history passes through the bulldozer's bucket faster than a free buffet line. It won't be around much longer! When visiting Las Vegas I usually find myself visiting the seedier parts of town looking for what made Sin City click in the Fifties and Sixties. This time around I actually wanted to visit something new. Yes, a modernist enclave on the main drag for a change! 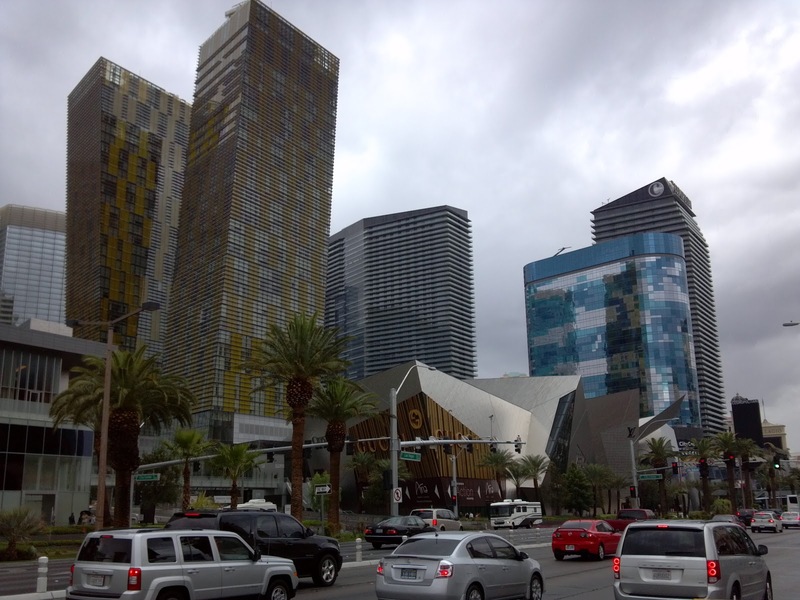 One of the most interesting new sites on the Strip is called City Center. Ironically, this new Geary-induced development is soon to be visited by wrecking crews! In a bizarre "only in Vegas" turn of events the Harmon Hotel is going to be razed before it ever opened its doors. The 26-story hotel has been deemed defective and the owners have requested a permit to demolish it. How they managed to continue building something so large when they knew it was sub-code is amazing to me. But I guess it happens.